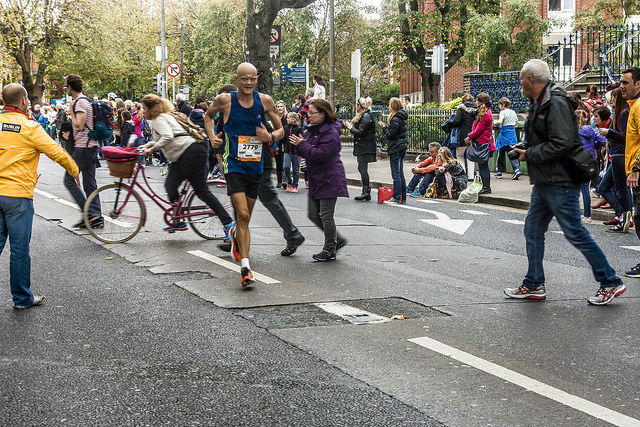 Jonathan Dodd returns with his Sunday column and this week explores the merits and pit-falls of on-street running (oh, and memory). I’m going to change my running habits. They’ve installed some showers at work, so I’ll be able to dash out at lunchtime and run through the streets instead of making use of the machines at the gym. I haven’t run outside for a very long time, and I’ve never run through streets before. I’m slightly anxious about it. I’m not bothered by the appearance of me in public, either by the somewhat worn and ragged look of my running clobber or by my wild gasping and sweaty face. It’s exercise. I’m going to exude substances. It’s natural. I’m not sure how I will cope with actual weather, good or bad, and, possibly weirdly, I’m not sure how I’ll manage without the insistence of the treadmill. It has always been comforting, a sort of partnership, with the machine pushing me relentlessly and me trying to keep up. How will I manage when it’s just the pavement? What happens when crossing roads? Will there be paths I can follow that might have different possible problems, like mud, or dog poo? And there might be pedestrians or bike riders in the way too. I might get in other people’s way, or make someone angry enough to push me out of their way. I’ve seen it happen. It’s going to be a whole new world. I’m sure that I’ll adapt fine and even come to love it, but there’s always that period before starting a new thing when you try to make yourself imagine doing it before taking the plunge. Some people become frightened or apprehensive. I like to think I get excited, and I know I’ll do it, but I know I also need to jog myself out of that comfort zone. Literally. Funnily enough, the thing that made me decide to make this change, apart from the availability of showers at work, was television. We were watching a Canadian police series called Cardinal. It was another variation on the amazingly successful Scandi format, and it was adapted from a very good book. I watched Cardinal himself, the miserable and internally-tortured detective hero, starting to run again. And this was the middle of Canada, with snow on the ground. The only times I ever ran outside was at school, where they set great stead by your ability to perform Cross-Country Running. I was useless at this particular activity, because I was overweight until adolescence kicked in, and I grew up 30 centimetres and in thirty centimetres almost overnight. I absolutely hated having to run then, especially in the winter, when the air cut my throat like knives and the clay coated my feet. I also never came in better than 123 out of 125, which didn’t do much for my self-confidence. 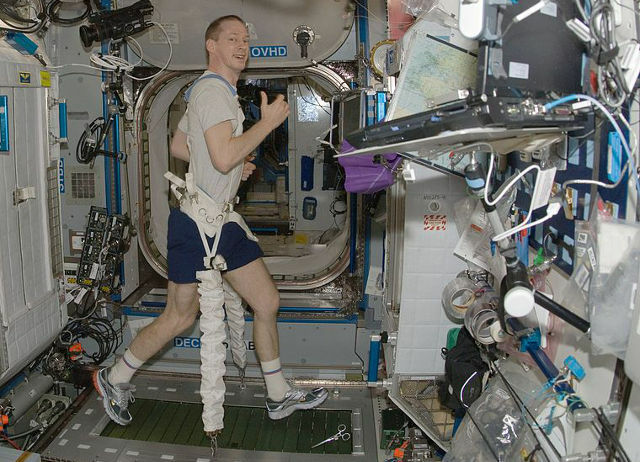 After I grew skinny, I found I could sprint, in an adequate sort of way, but I was never any good at distance. That’s why I love running so much now, because it’s an achievement. And running outside will be an achievement too, if it works. I worry about my music. It’s a real pleasure listening to random stuff. I’ve written about this before, I know. And along with the random music comes the pleasure of random thoughts. Today, I was congratulating myself on the sheer pleasure of being there doing the running, and listening to my music on my new toys. I bought some wireless earbuds, which I stick in my lugholes and press a button on both of them for four seconds, until they tell me in best machine-Chinese accents that they’re on. I then start up Bluetooth on my phone, they connect, and the music plays in my ears, without any swinging wires that get caught up here and there, and without having to carry my phone or keep it within wire-range of the earbuds. I worry that the Bluetooth won’t work so well outside, or cut out randomly, or that they’ll fall out in the road, and my thoughts will be disturbed. I know it’s silly, and I’m prevaricating. I think the one thing I’m going to miss most is the clarity of the space. Because the treadmill just keeps going, and I just keep running, I know I’m not going to be distracted by anything. Running out there is bound to be distracting, and that wonderful feeling of being alone with my thoughts, and letting them just run on in their own way might be lost if I’m busy dodging people and battle-buggies and bikes and cars and stopping to look both ways before crossing the road. And then running across the road, which I was always told I should never do. Would I be able to have those lovely ideas and thoughts, many of which end up in these columns? That’s what’s worrying me most about the whole running-outside thing. Like today. I had that delight of music on shuffle, when I heard a familiar opening to a song that I hadn’t heard for a long time. I was thinking how good it was as a song opening, with a very laid-back rhythm, and then the recorders stated playing. Recorders! Fantastic! And then I realised it was so absolutely the style of the singer, and then my mind stopped (luckily not my legs). Because I couldn’t remember her name. I remembered that she had short white hair. 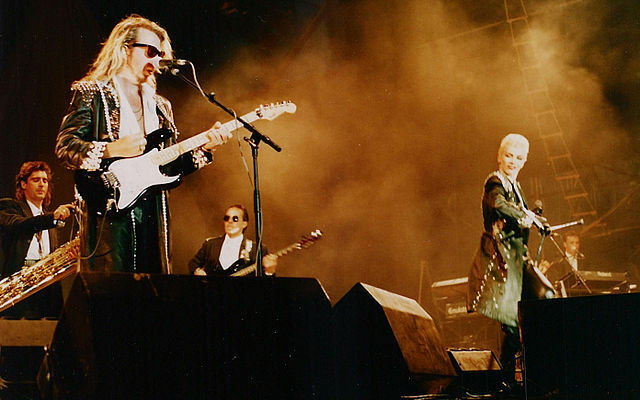 I remembered that she used to be in a band with that bloke who had stupid hair, I remembered that he was called Dave Stewart. I remembered that she’s Scottish. I remembered listening to an interview she gave on Woman’s Hour years ago, with Jenni Murray. I remembered that I was just arriving at the inland roundabout to Folkestone. I remembered I was on my way to work. Then I thought she was called Ann or Anne, but that wasn’t quite right. It felt more like Annie. But I had no idea what her surname was. In the meantime, the treadmill and my legs were getting on with doing what they were supposed to be doing, and the time was ticking by. My completely-familiar mystery singer was singing, and I was really enjoying it, while still turning all this over in my mind. I knew I would remember, but I had no idea why it was being so difficult, or how long it would take. I was puzzled that I could remember so many things about the song and the singer, but not, surely, the most obvious and important thing – her name. I was feeling like a detective by now, wandering through my memories, searching for clues. The halls of memory, I find, don’t echo. You can call out a question, and there’s no answer as such, but sometimes there’s a clue that lifts from the mounds of memory all around you. I became sure that her surname starts with ‘M’. I had no idea why I thought that, and I knew it could be wrong, but I held on to it. I waited for possible surnames to arrive. Gradually, surnames began to arrive from somewhere, and I paired them up one by one with Annie. The one that seemed closest, for no other reason than it felt warmer, was Maddon. Annie Maddon. I was almost sure it was that, then I knew it wasn’t. But there was something about it that was close. 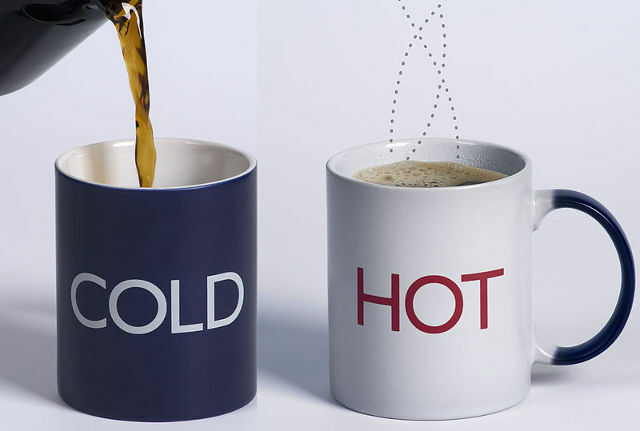 I used to play the hot and cold game when I was a child, where someone selects something in the room, and you have to guess what it is. You can ask questions, and all they can say is whether you’re warm, as in close, or cold, as in far away. 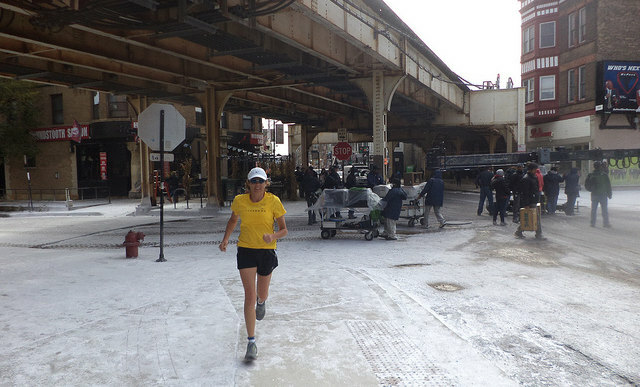 The hotter it gets, the closer you are, and the colder it is, the farther off-track you are. This felt just like that. How on earth could such a simple thing not be rememberable? So Maddon was quite warm, but I didn’t know why. 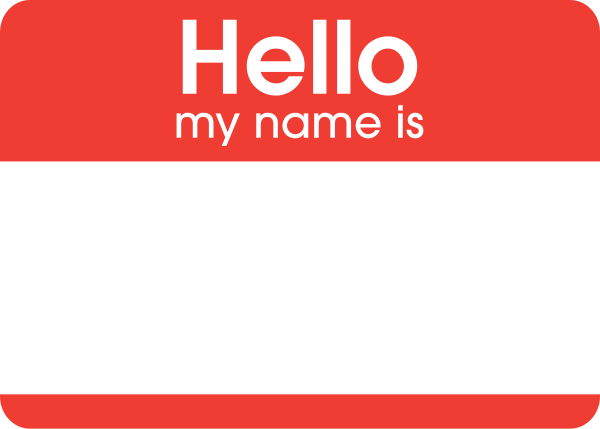 I tried varying the name a bit, and came to Maddox, which was a familiar surname to me from long ago, although spelt differently, and Annie Maddox felt so warm, until, with a rush, I had the answer. 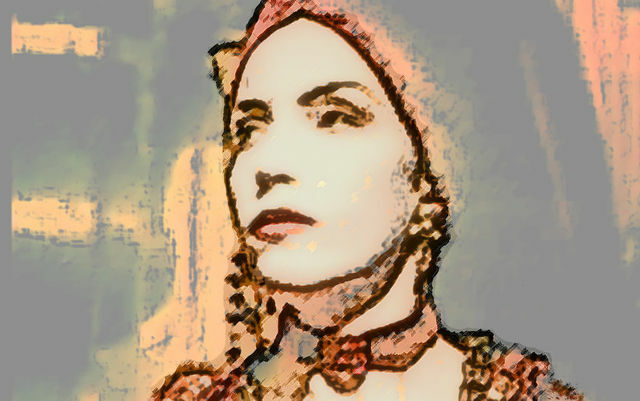 Annie Lennox, of course! How could I have not remembered that? How on earth could such a simple thing not be rememberable? Why should it take so long to dig it out of my memory? I still don’t know the answer to any of that. Perhaps another time I’ll wrestle that out of the memory-mass. Now I had my first answer. Why was I worried about running outdoors? Because amongst all the random input out there I might lose the thread of thoughts like these. I might find myself asking fewer questions, and losing the precious mind-space to do that without losing the thread. Douglas Adams understood this. 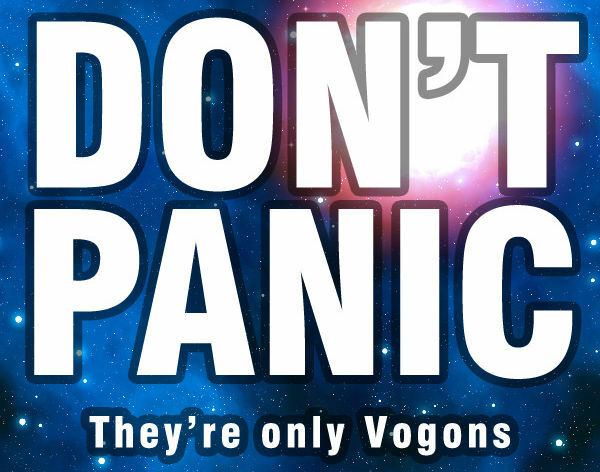 In the Hitch Hiker’s Guide to the Galaxy he tells of a moment when a young woman, in a small café in Richmansworth, suddenly realises the point of it all, the answer to Life, the Universe and Everything, and is about to rush out and tell everyone, just as the Earth is destroyed by a Vogon Constructor Fleet. I’m concerned that the busy roads in Newport might become my own personal Vogon Constructor Fleet, and I’ll miss that one question, the big one, the one that transcends all other questions. Or maybe I’m just looking for a way to make my memory work better. This won’t stop me trying it out though. So if you see a ragged man running through the streets one lunchtime with a puzzled look on his face, that’ll probably be me, not losing my mind, just trying to work out why I can remember everything about something but not its name. Now I’m annoyed because I still can’t remember the name of the band she was in, with that bloke with the stupid hair. 2 Comments on "Jonathan Dodd: Running after Annie"
Apparently the bloke with the stupid hair is now the leader of the IW Council. Seems to have swapped the Mullet for the pudding bowl, however. There’s a few of them about.